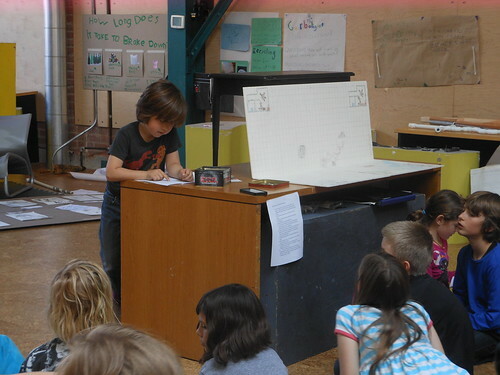 Logan told us all the rules and regulations of his fantasy games, including the amount of monsters he has already created and ones he’s planning to make. He said the game was created to be fair because at the beginning, everyone has the chance of winning the game. 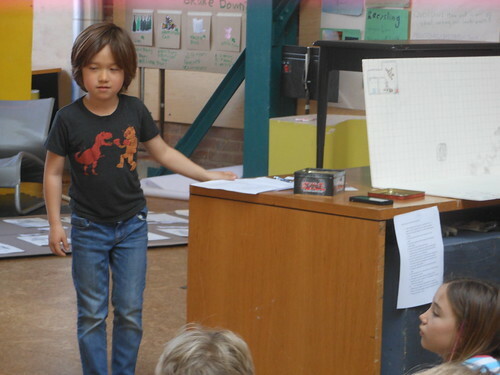 Theo presented his play based on the emotions of his Kimochis and the global warming issues that plague our planet. 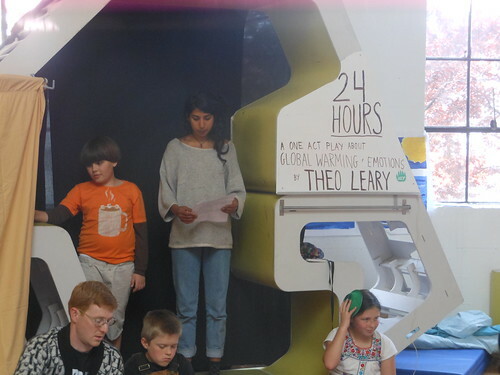 Although he was unable to perform the entirety of the thirty-five page play he wrote, he and the Sand Leopards did a stage reading of the Terrible Ending (one of the three endings) of the story, where the character Sleepy makes the choice to take over the world. 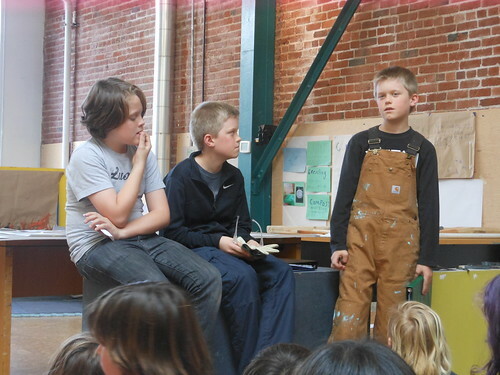 Evan, Daniel, and Alexander shared their blacksmithing experiences at the Crucible and the work they did exploring the history of metal. They described the terrible advantages that certain people who had metal and metal weapons and tools had over those who did not. 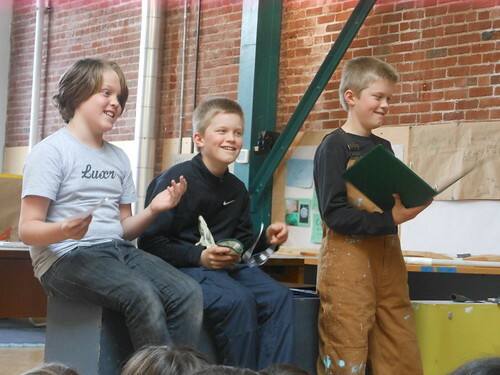 The go-cart team of Alessandro, Mason, and Nicky talked about the challenges they faced in building their go-cart. 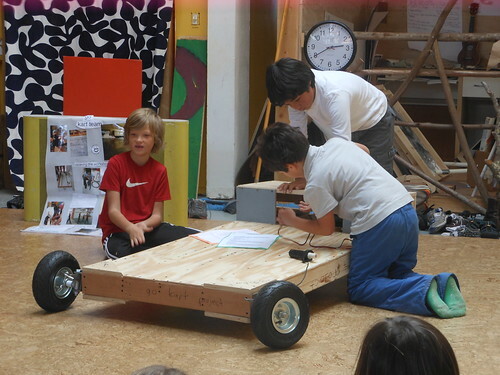 They showed us an almost-completed vehicle and agreed that the motor box was the most difficult thing to construct. 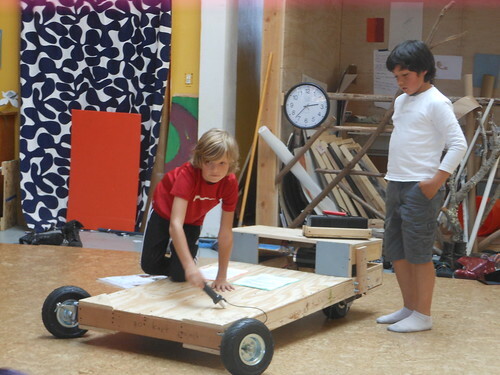 And of course, it related to fairness because they had to decide the most fair way to choose the driver! 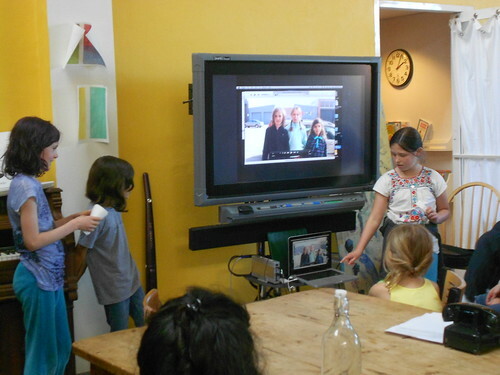 Frances, Kaia, and Meg introduced their global warming video filled with facts about the impact that humans have on the environment and footage from their experiences with no-impact camping at Point Reyes. 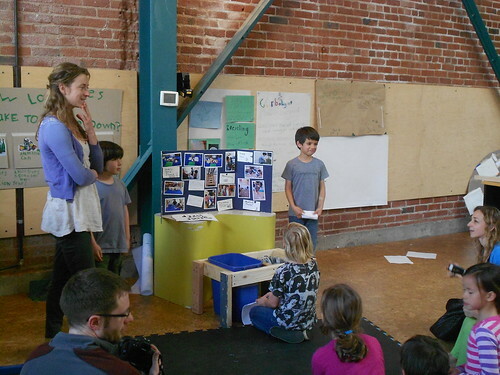 In the video’s audio, they took turns speaking about the ways we can do better to protect the environment and showed an interview with a park ranger they met at Point Reyes. 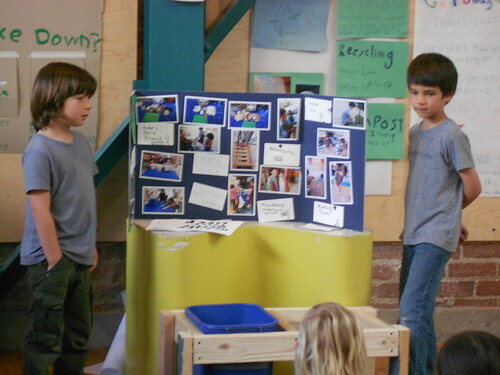 Ben and Noah revealed their identities as the Waste Wizards during their presentation and talked about their work exploring waste, compost, and recycling. 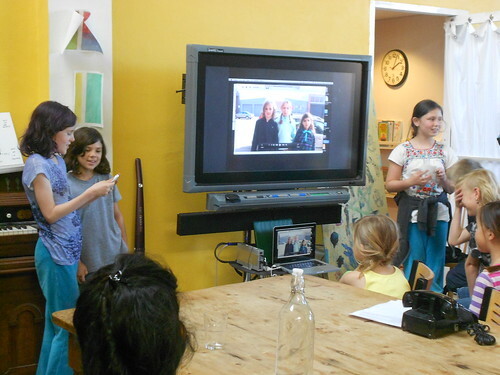 They explained that they’d wanted to look at how Brightworks deals with trash and how they are now starting an after-school Trash Club to see how they can affect waste management in the world. 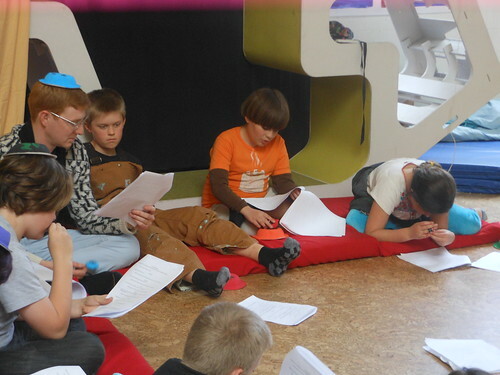 This entry was posted in brightworks and tagged arc:Fairness, Exposition, year-two. Bookmark the permalink.